Editor’s note: This was our 2019 April Fools’ Day post. But if you’re looking to hire an excellent writer who knows how to craft strategic content for your business, check out our elite group of Certified Content Marketers. Sometimes in business, just like in life, you reach a turning point. You look back at your past experiences with appreciation, but then take a serious assessment of where you’re currently at to determine the direction you will travel in moving forward. While Brian was abroad the past six months, the team and I here at Copyblogger knew it was time for us to build a revolutionary product. What would help our audience cut through the trials and tribulations of content marketing to produce meaningful work that drives business results. After a lot of coffee and late nights, Pooblíche® was born. If your content’s rubbish, it won’t let you publish. We wanted to really “wow” Brian, and we’re so confident about Pooblíche that we even got the name registered as a trademark before he had a chance to try it. Let’s look at the three levels of software you can get. This is the free version of Pooblíche. You just sign up for an account and begin drafting your next post in the Editor-Is-Judging-You Screen. As you type, the algorithm we built reviews the quality of your writing. … all of the professional qualities that keep readers coming back and choosing you. If you have those elements, Pooblíche Freely. But if you don’t, the publish button won’t appear. No more excitement and disappointment. 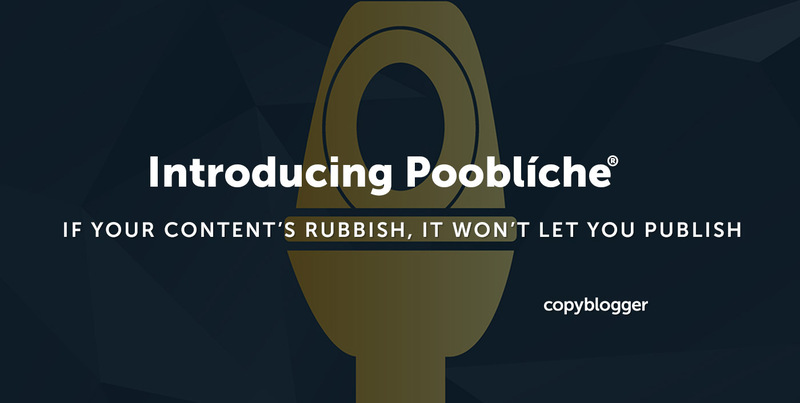 Pooblíche has your backside and will tell you when it’s time to release your content. If you’re looking for more strict guidelines, choose Pooblíche Ploos®. It includes all of the features of a Free account, but even if your writing pleases our algorithm, it still won’t let you publish unless you can communicate how the post fits into your content marketing strategy. It needs to recognize a reason why you need to publish this piece of content for your business. 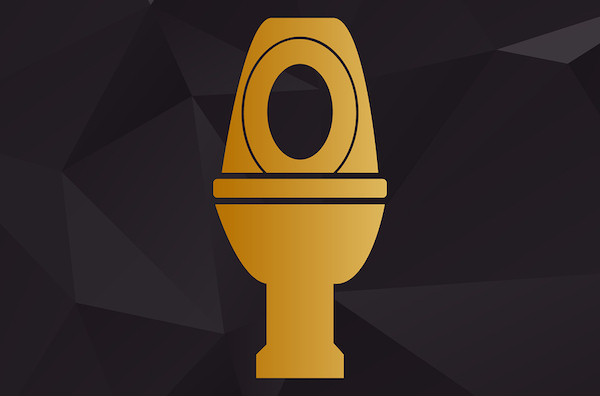 And if you want the ultimate Pooblíche experience, sign up for a Ploos Ploos account. It includes all of the features in the Free and Ploos versions, but even if your writing pleases our algorithm and it knows how the post fits into your content marketing strategy, it still won’t let you publish unless you can communicate your promotion strategy. It needs to recognize how your ideal customers and clients will discover this piece of content. Have you become more selective about the content you create or the writers you hire to craft your content marketing? Do you have a checklist to review before you publish? NIIIICE April Fools’ Day Joke! Ah Good God! I was excited for the product, and the finishing line of this article just HIT me 😀 … Indeed, a great joke for April Fool’s Day! Great Blog Stefanie and happy April Fools’ Day to you. I think this is definitely our best tagline ever. The draft versions were less … subtle. I’m just slow. I went over this content four times looking for the hot link to the free version before I got it. Shame on you. Also, Good One! Guess I’ll use the time going over the other good links in this post. I’m glad you found a silver lining in the other links!